Preparing for potential natural disasters specific to your location is important. When natural disasters strike, they often cause personal and financial hardship for both individuals and communities and can result in loss of life. Here are some tips on how to be prepared and to cope better during and after extreme weather. Natural disasters in Australia can include heatwaves, bushfires, droughts, floods, severe storms and tropical cyclones, earthquakes, tsunamis and landslides. Step 1: Get in the know: Understand the risks you face, how your life might be disrupted and who can help — before disaster strikes. Step 2: Get connected: Connect with your community so you can help each other in an emergency and during the recovery afterwards. Step 3: Get organised: Think through what might happen during and after an emergency and take action to protect the important things in your life. Step 4: Get packing: Identify and pack things that might help you survive in an emergency and get you back on your feet quickly. You can register for severe weather alerts on the Australian Early Warning Network website. 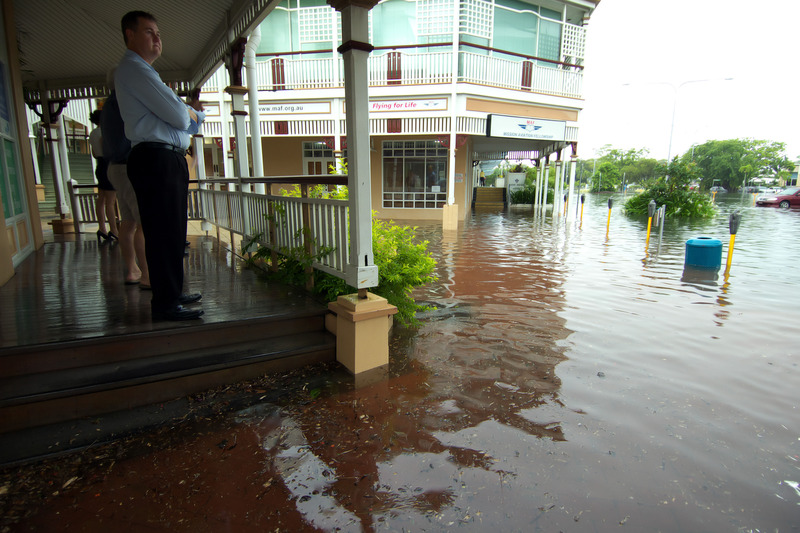 In some areas, however, such as Queensland, people will receive alerts about severe events affecting a specific area without needing to register for a service. It’s important to refer to your local government or council for information about natural disasters specific to your location. Information, procedures and advice may vary widely in different places. Some local councils offer an evacuation register of people who may need help to get to safety in a natural disaster. Contact your local council to see if they offer this service. Preparing psychologically for natural disasters is also important. It can help you feel more confident, in control and better able to make effective emergency plans. It can also help reduce any psychological distress and longer-term mental health problems that may result from the trauma of being involved in a disaster. Anticipate that you will feel worried or anxious and remember these are normal responses to a possible threatening situation. Identify the specific physical feelings associated with anxiety and whether you are having any frightening thoughts that are adding to the fear. Manage your responses using controlled breathing and self-talk to stay as calm as possible so you can focus on the practical tasks that need attention. It is important to stay safe and follow your emergency planning. Call triple zero (000) for life-threatening emergencies only. If calling triple zero (000) doesn't work on your mobile phone, try 112. If you feel your home is threatened, or authorities have told you to leave, you should make your way to an emergency evacuation centre. These are run by the Australian Red Cross and supply basic needs such as food, clothing and shelter. You can locate them though your local police or by contacting the Australian Red Cross (see phone numbers under 'Where to get help?' below). When it's all over, how the natural disaster affected you will depend on your own personal circumstances. Common feelings include shock, fear (for the safety of family and friends or of a similar disaster happening again), anger, helplessness, sadness and shame (for having been exposed as helpless, emotional and needing others and for not having reacted as they might have wished). These are normal feelings, and talking about how you feel and seeking support from friends, family and the community can help enormously. beyondblue and Lifeline have developed resources containing advice for people dealing with the emotional impact of a natural disaster. Also, talk to your doctor, who will have access to support that could help you after a disaster. There may also be practical issues to sort out, such as finances and insurance. The Australian Government DisasterAssist website provides individuals and families with access to information about recovery assistance following a disaster. You can also call the Australian Government Emergency Information Line on 180 2266. You may also be eligible for a crisis payment, but you will need to register on the internet to claim. Visit the Department of Human Services for more information. Call triple zero (000) immediately if someone is seriously injured or in need of urgent medical help, or if your life or property is at risk. If you are deaf or have a speech or hearing impairment, call 106 for a text emergency call. If calling triple zero (000) does not work on your mobile phone, try 112.
the Australian Government Department of Human Services, which has information on its website, or call them at 132 468. Australia is a country that is affected by many different types of natural disaster, including floods, bushfires and cyclones. Help with out of pocket health costs you have from an act of terrorism or natural disaster the scheme covers. On this page are a range of resources for use by principals, teachers, school support staff, parents and others working in schools affected by the devastating Victorian bushfires in February 2009. Resources are evidence-informed and have been developed by respected experts from Victoria and elsewhere in Australia. They provide core knowledge that accurately addresses specific needs and aspects of recovery from the impact of the bushfires. Some resources have been developed by relevant health and education organisations. All children, young people and families in Australia are affected by the many natural disasters that occur here. In recent years there have been floods, bushfires and cyclones that have devastated communities across Australia as well as tsunamis and earthquakes occurring around the world. These web pages on Disasters and Mass Adversities bring together the most relevant and reliable information and resources that can be used to support young people and their families in preparing for, coping with and recovering from disasters. Review of Childhood Trauma Literature Threereviews: Silverman, W.K., Oritz, C.O., Viswesvaran, C., Burns, B.J., Kolko, D.J., Putnam, F.W. (2008). Stallard, P. (2006). Wethington, et al. (2008). 1. Silverman, W.K., Oritz, C.O., Viswesvaran, C., Burns, B.J., Kolko, D.J., Putnam, F.W. (2008). Evidence-based psychological treatments for children and adolescents exposed to traumatic events.Journal of Clinical Child and Adolescent Psychology, 37(1): 156-183.